When your child is battling cancer, turn to a team of specialists dedicated to caring for children and families. The Aflac Cancer Center is one of the top 10 childhood cancer centers in the U.S.
Because of our large size, we are able to offer programs with teams of providers dedicated to each of the major types of childhood cancers. This degree of specialization means that every child is cared for by a team that is focused solely on his disease. We understand you want to be certain your child is receiving the best possible treatment available anywhere in the world. Second opinions can help provide the information you need to make an informed decision about the treatment for your child. For families traveling outside the U.S., we are here to help meet your unique needs and challenges. Chemotherapy (chemo): A group of medicines that kill or damage cancer cells. Radiation therapy: The use of high-energy rays to kill or damage cancer cells. Surgery: To remove as many of the cancerous cells as possible. Blood and marrow transplant: To help rescue blood stem cells after chemotherapy. MIBG therapy (for neuroblastoma): One of the most effective treatments for children with relapsed neuroblastoma. We are one of the only centers in the Southeast offering this treatment. Rotationplasty (for bone tumors): Removal of a portion of a limb, while the remaining portion of the limb is rotated and reattached. Typically, the child’s ankle joint becomes his knee joint. Developmental therapeutics: We offer some of the most promising new cancer treatments for children who have relapsed or who have difficult-to-treat cancers. The Aflac Cancer and Blood Disorders Center is committed to excellence and innovation in pediatric cancer and blood disorders research. We are home to one of the largest clinical trial programs in the country—offering our patients access to some of the most novel childhood cancer and blood disorder treatment options in the country. 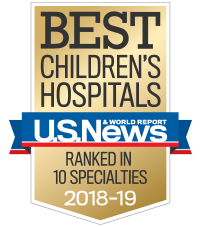 Patients and their families have basic and extraordinary mental, physical, emotional and spiritual needs, and Children's has many services available to meet them. Many families travel great distances to the Aflac Cancer and Blood Disorders Center to receive care. To meet the needs of those families, we offer transitional or temporary housing options that have been carefully chosen for safety, cleanliness, amenities and proximity. Learn how you can help make a difference in the life of a child battling a blood disorder.